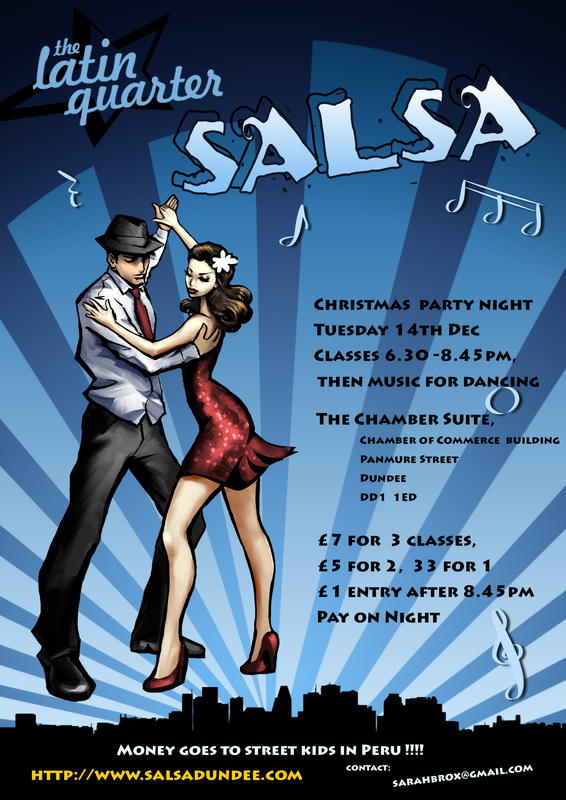 Christmas Party Latin Quarter in December will be on Tuesday 14th Dec at The Chamber Suite. All 3 classes £7, 2 classes for £5, 1 for £3, all money goes to Azul Wasi project as usual. Dancing for anyone after classes till 11ish (closing time numbers permitting ), £1 contribution for entry after 8.45pm goes to the charity for non class attenders. All money goes to Azul wasi project. Bring Santa hats or other festive wear to party, will be party games with prizes ! Please pass the word. Remember Christmas Vouchers for Azul Wasi are on sale too ranging from £5, see website for the list.